The TextMagic mobile app, Desktop App and Web App are fully synced. You can download the TextMagic mobile app for iOS and Android for free. 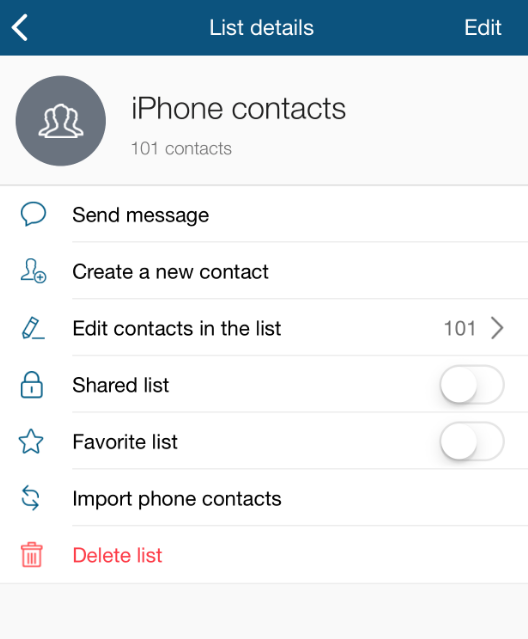 The easiest way to sort contacts is by grouping them into lists. 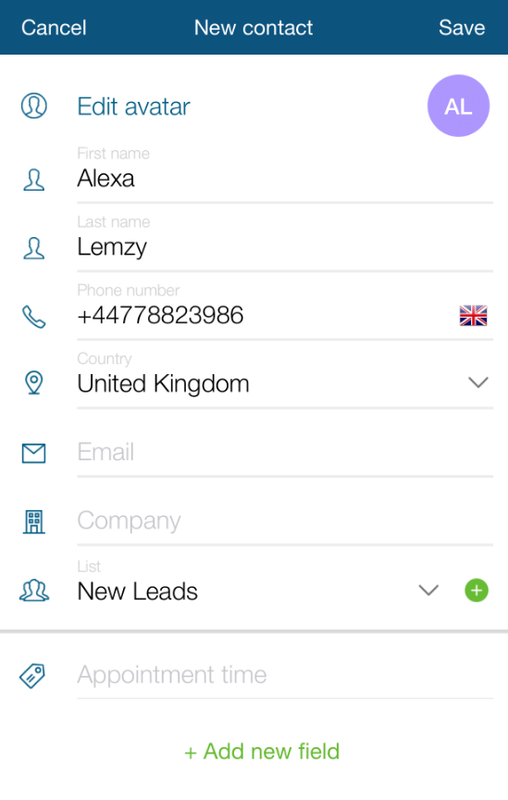 You can set up lists and send text messages to all the people on them with just a few clicks. Learn more about list types. Click the Add a new list icon. Enter your list name and click Save. 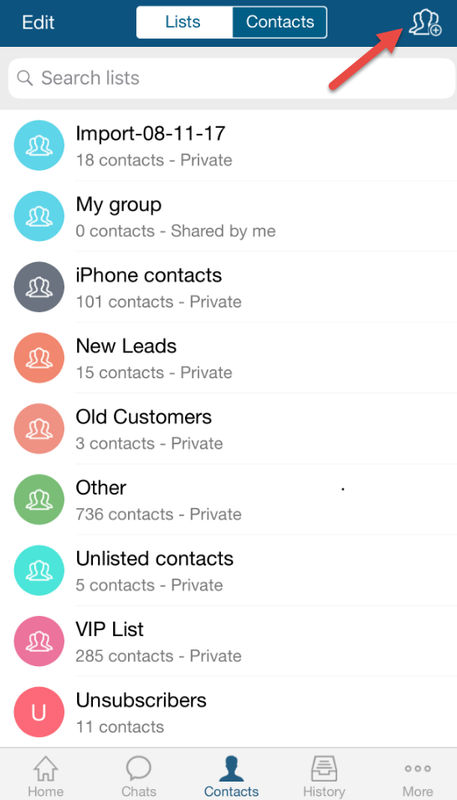 Your contacts may have as many custom fields as you like, such as date of birth, address, job title, etc. TextMagic lets you use these custom fields as mail tags, to send personalized messages to a group of people. Merge tags allow you to dynamically add this content to your text messages. If you do have custom fields, please create additional custom fields while adding a contact. Enter your new contact details. 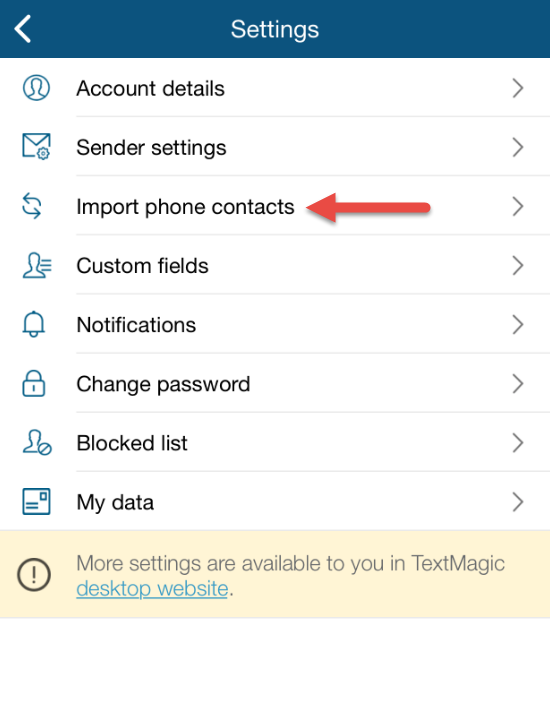 Go to Settings and click Import phone contacts. Select the contacts and click Done. Enter your new list name and click Submit. The import will take a couple of moments. Your import will also become visible from the Web app import history page.